How do I get the best deal on a Furnace? 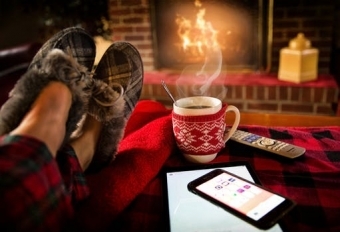 Worry free warmth...Thinking about replacing your Furnace? Here is the perfect Cheat Sheet and top ten tips for success. If you lived through Niagara's frigid winter of 2015, you know, a relaible Furnace is a necessity. Now you're wondering what is the best, most efficient way to heat your home or workplace. There are many options for heating, depending on your fuel source, brand choice and budget. If you have an existing natural gas or propane furnace (and duct work), the most effective upgrade is a high efficiency, two stage, Furnace. If your home or office does not have existing furnace/duct work (rads, electric baseboard heating or other heat source), there are still options for efficient heating. A site visit is required to review the existing equipment and propose the most effective solution. Get two or three quotes from local, reputable companies. Company or Contractor should employ a minimum of four employees (sole proprietor operations, open & close regularly, cannot always maintain the Warranty or be available when you need them). Check that the Brand of equipment is built in Canada or USA (to ensure quality and timely parts availability). Ask if the Installer has more than five years experience AND is an Employee, not a sub-contractor. (to ensure installer is knowledgeable in setting-up the system, can be located in case of an issue, and can deliver a high quality installation). What other fees are expected? Is there a "Maintenance Contract" in the fine print? (Low advertised prices often have hidden fees or contracts). Compatible Thermostat? Extended Labour Warranty? Do I have to file my own Rebate claim and Warranty paperwork? (these can be time sensitive and complicated. The Company/Contractor should take care of this on your behalf). Does the Contractor have technicians available 24/7? (in case of an overnight or holiday breakdown). Rate the professionalism of the Salesperson/Estimator/Quote presented. Now that you know what to ask during a Furnace Quote, put us to the test and Contact Us for a Free Quote for adding or replacing your Furnace. Keeping Niagara cozy since 1981, Konkle Plumbing and Heating Inc.